Escape rooms are continuing to pop up around Montgomery County, but Escapology will be the first to open at a new, "town center" development. Pike & Rose will be the first such development to lease to an escape room in the County. Escapology will be located on Old Georgetown Road, next to the NAVA Health & Vitality Center. How hard would it have been just to say this is located in the Pike and Rose center, which, btw is in North Bethesda NOT Rockville. 9:54: Sorry, dumbass, the area is classified by the USPS as Rockville. You better tell the USPS they don't think right then CharminShade. 10:14: Wrong, chump. Anyone can say or write "North Bethesda," just as you can write "Montgomery Village" on an envelope - the official USPS designations remain Rockville and Gaithersburg, regardless. You are not only wrong, but also a vulgar, low-class bum. Not surprising the MoCo cartel employs you! The post office will tell you it is correctly considered N Bethesda but that area is serviced by the Rockville p.o. Escapology's own website says "Bethesda". A search for "Escapology + Rockville" gets you nothing. North Bethesda? Ha ha ha. It's really West Kensington. 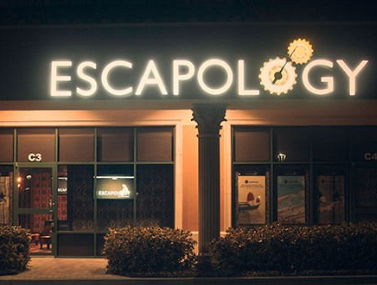 "Escapology to open at Pike & Rose" on the Bethesda blog.